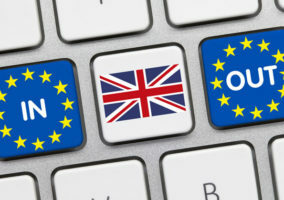 Brexit vs Remain: How Could the EU Battle Affect the Call Centre Sector? If you’re anything like me, you’ll be glad about the prospect of the lengthy, and increasingly bitter, campaign finally being over. For weeks now, talk of Brexit has dominated coverage in newspapers and on the airwaves, so you’d be forgiven for thinking there’s nothing else going on in the world. But despite all the sound and the fury, there’s still a huge amount of uncertainty about what would actually happen if the British people vote to up sticks and leave on June 23rd. Every claim made by one side of the debate has been met with a counter-claim from the other, and it’s hard to get a genuine picture. However, if we do opt to leave, this will undoubtedly have an impact on all parts of the economy, and the contact centre sector will be no different. So what might we expect if we wake up on June 24th to find we’re on our way out of Europe? One major question for the contact centre industry – and every other sector that handles customer data on a regular basis – will be what impact a leave vote will have on the rules and regulations surrounding the management and security of this data. Earlier this year, the EU passed the new General Data Protection Regulation, which is set to come into force in the autumn and lay out strict new rules for the protection of personally identifiable information. But if the UK leaves, will it still be bound by this during the several years it would take to negotiate an exit? Would we adopt similar rules anyway, or go our own way? And if the latter, will businesses such as contact centres have to cope with two different regimes? 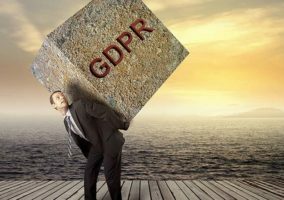 And besides this, there are still a range of questions such as the right to be forgotten and intellectual property laws that may affect how businesses use personal data, including in the contact centre. Will it affect your agents? Another key question for content centres will be what impact, if any, Brexit would have on the agents they employ. As anyone who’s recruited for the sector knows, it can be a tricky task finding the right people for the job, and even pro-Brexit campaigners have been found to rely on EU nationals in their own contact centres. Immigration and the right to work in the UK has been one of the most toxic parts of the campaign as the debate heats up. Brexiteers talk up an Australian-style points system if the UK were to leave – but there’s no guarantee the government would actually enact such a policy, and any impact on non-EU workers is likely to be minimal. Many businesses have taken a stance one way or the other on the merits or drawbacks of an EU exit – with some pro-leave bosses such as Wetherspoon’s chief Tim Martin taking clear steps to try and convince their customers of their opinion. And it seems the reaction from the technology sector has been overwhelmingly on the ‘remain’ side. 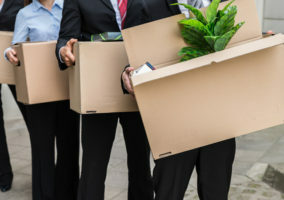 A survey of members of Tech London Advocates, which represents around 3,000 tech firms in the capital, found 87 per cent favour staying in the EU, citing fears that an exit would make it harder to do business in Europe and lead to difficulties attracting top talent. Clearly, the divisions between the pro-leave and pro-remain sides aren’t likely to be healed any time soon. While no business likes dealing with uncertainty, the prospect of an EU exit is offering exactly that. Whatever people’s personal opinions on the matter, many businesses will be awaiting the referendum results with bated breath.